A character-rich reinterpretation of the iconic chair popularized in European bistros in the early 1900s. 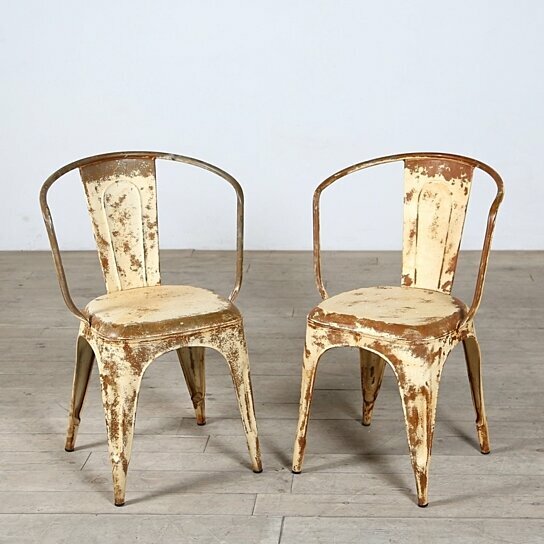 The rounded, hand-formed framework contrasts against a distressed ivory painted finish to create a chair that serves equal portions of style and function. Due to the hand-made construction process and materials, slight variations that enhance the piece's character should be expected.